The sun came back and it’s time to jump back into summer shorts. Here are some tips to make sure you have dapper style for the summer. 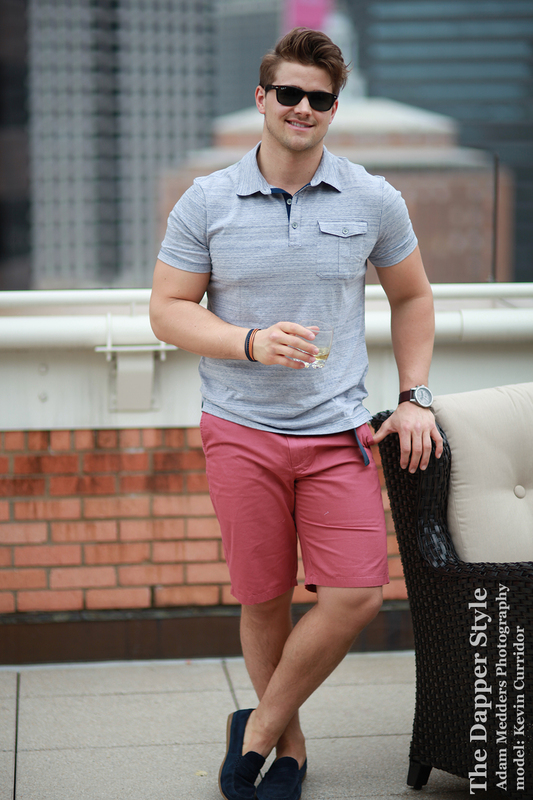 Our Dapper Guy Kevin Curridor shows an easy summer style. Don’t wear baggy shorts or ones that have bulky cargo pockets. Wear shorts that are above the knee for a modern fit. Wear colors or even prints to make a statement in style. Remember shoes matter, we added blue suede loafers to coordinate with the color of the textured polo.